Have you been trying to sell your old or unwanted house, but don’t have the money to fix it up and repair it? Have you considered selling your home to an all cash independent real estate investor? We buy houses cash in Miami that are damaged, or could be considered unappealing in as-is condition. Many homeowners attempting to sell their homes face the potential dilemma of postponing a sale and spending time and money to work on their property to increase the value. Some of these individuals simply just don’t have the time to spend working on home repairs, and that is where our team at Your Florida House Buyers may be able to help, we buy houses cash in Miami in as-is condition. I’ve Never Sold a House for Cash Before, What is the Process Like? Most traditional real estate agents will tell you that you should begin the procedure of selling your home at least two months prior to posting a listing on your property. This timetable is certainly something to consider. Before even beginning the process to sell your home, you’ll need to commit to the necessary repair work, and clean up to make the home look presentable. Then hire people in order to determine the value of the property, and even more, people to advise you on the best course of action for selling your home. What happens in a scenario where your home doesn’t sell? Can you afford to lose all that time and money? It’s not uncommon for some of the homeowners that we deal with to not have known that there are other resources out there, or that selling a house with an independent investor is much faster than traditionally listing. Those that have previously sold a home in the South Florida area, understand how the process can have many ups and downs, from the excitement of finding a buyer to the crushing let down when they’re unable to get approved for financing. There are few things that are more frustrating than spending months and months to find a buyer, and at the negotiation table, only to have the entire thing fall through because of an inability to financing your property. Home buyers frequently take out a mortgage on a newly purchased home, and this requires an approval from a bank or other financial institution. Financing approval can fall through for a myriad of reasons including credit issues, and divorce. When you choose to have a cash buyer home in and purchase your property, you can sell your house fast, without having to go through financing. When a financial institution grants a loan to a buyer, they want to ensure that individual is going to live in the home for some time while regularly making their payments. For this reason, they require the property to meet a set of conditions or stipulations. If even minor issues are found during a home inspection, repairs will be needed on the home before financing can be approved. When you sell your home on the open real estate market, you will likely be working with a real estate agent, and the buyer will have a real estate agent of their own. Once the home has sold, both of these agents are going to expect a portion of the profits. 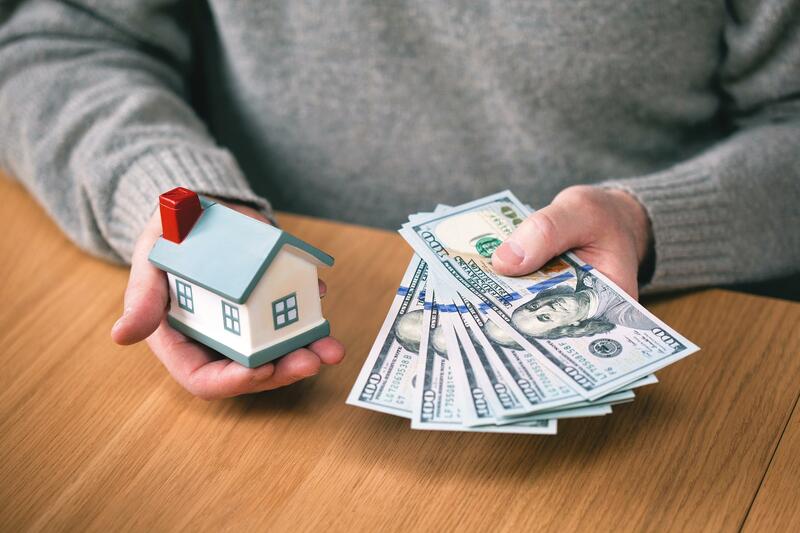 Choosing a cash offer will eliminate many of the associated costs that come with selling your home, and remove entirely the need for any type of repair or preparation. When you choose to sell your home with Your Florida House Buyers, any assorted fees and closing costs are generally covered by our team. What this means is more cash in your pocket, and less paid out towards administrative costs and overhead. There are a variety of reasons for you to choose an independent investor that like Your Florida House Buyers. Selling a home is tough. It is a time staking, stressful endeavor that can come accompanied with a myriad of potential pitfalls, obstacles, and setbacks. When you choose Your Florida House Buyers, we can avoid any of the financial stalling and other aggravating ordeals that come from traditionally selling. We also close on home offers in as little as 10 days, and with no closing costs, agent fees, or commissions. Your Florida House Buyers have the financial backing to help you sell your house fast with an all cash offer on your home. We buy houses cash in Miami, and our methods provide a method of circumventing the problems that are commonly associated with traditional home selling. We will come in and analyze your home, come to an agreement, and make you an all cash offer within 24 hours. We have the financial capital to buy your house, all in cash, and without the need for loan and financing approval, we can close the deal in as little as 10 days. If you’re looking to get out from underneath an unwanted, or unaffordable property, the reasons don’t matter to us here at Your Florida House Buyers. We simply want to help you sell your home quickly, and make an all cash offer on your home. 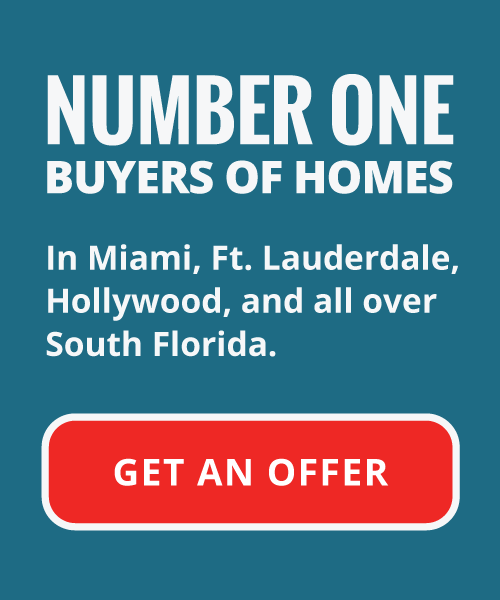 For more information on the we buy houses cash in Miami program from Your Florida House Buyers, please contact one of our professional and experienced representatives from our firm today!